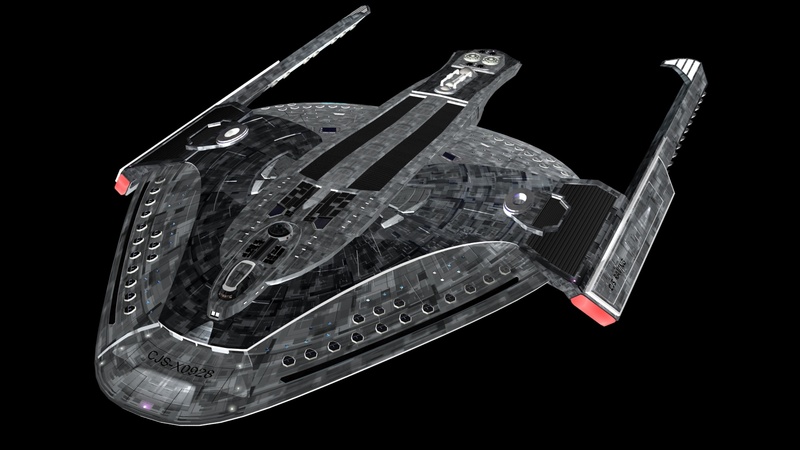 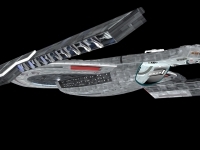 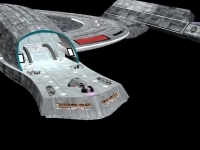 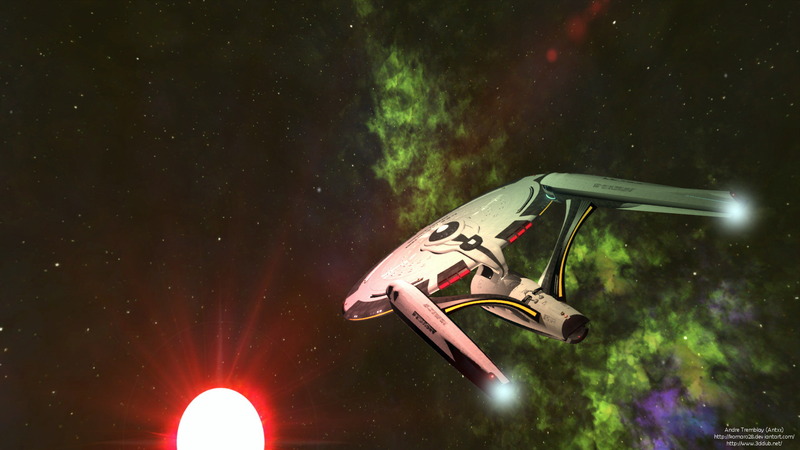 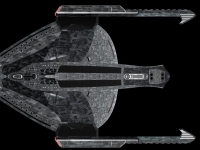 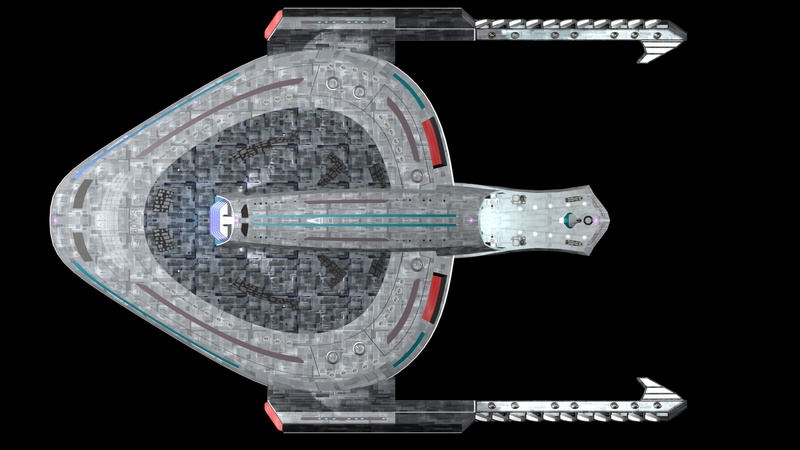 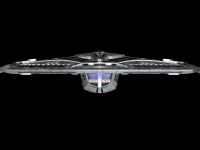 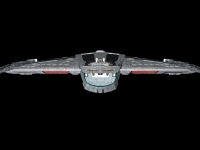 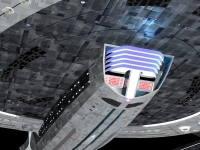 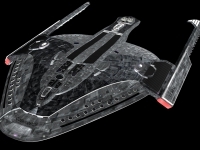 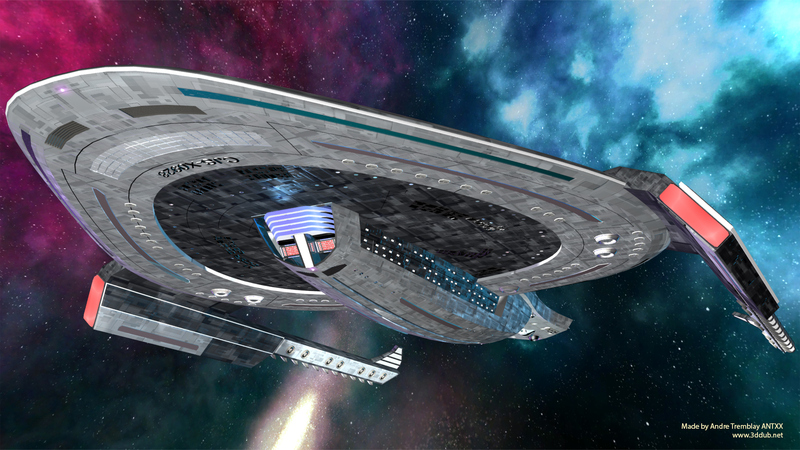 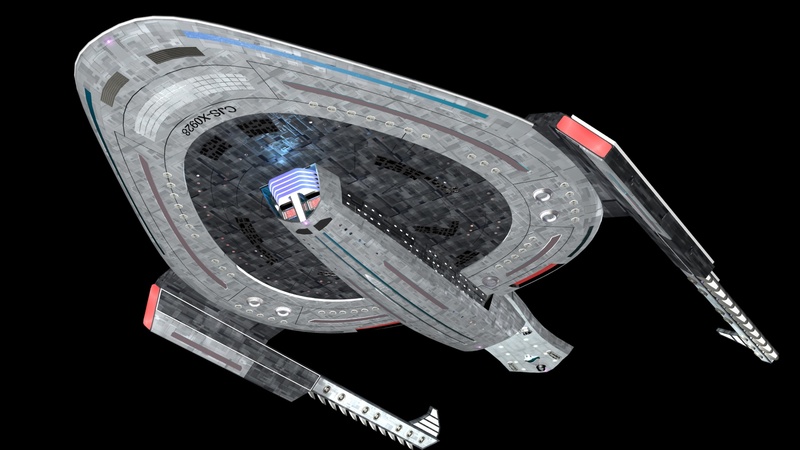 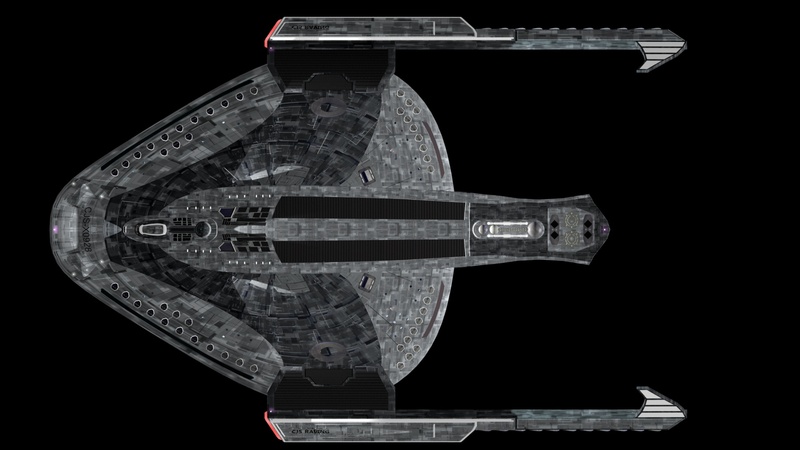 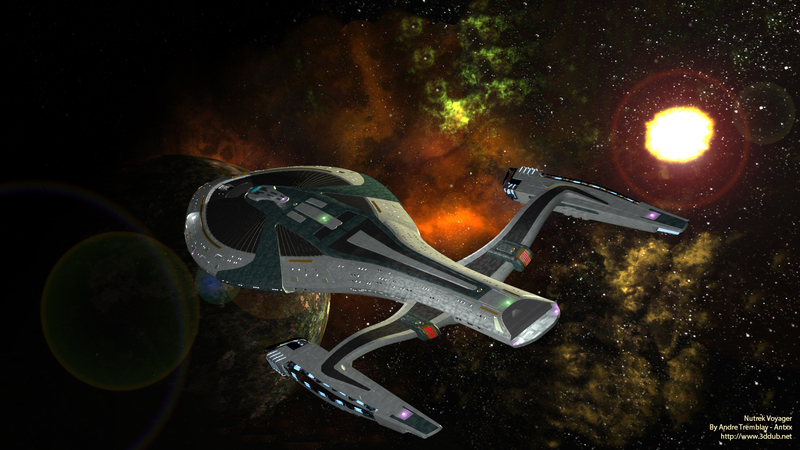 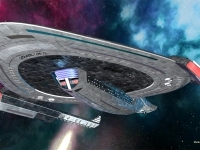 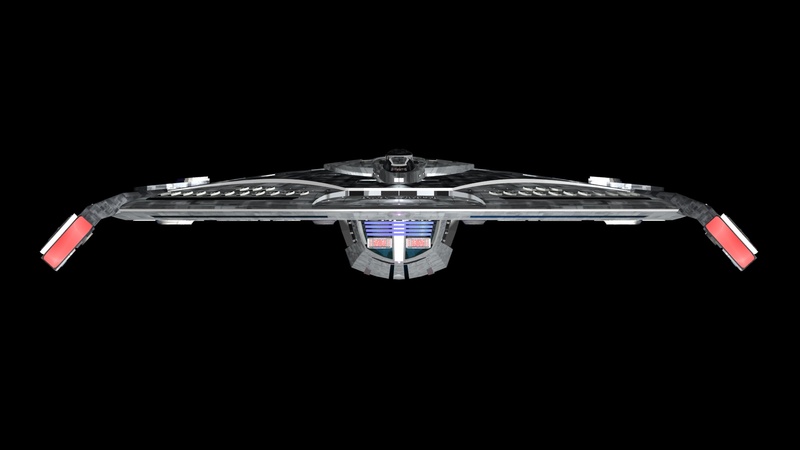 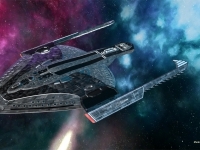 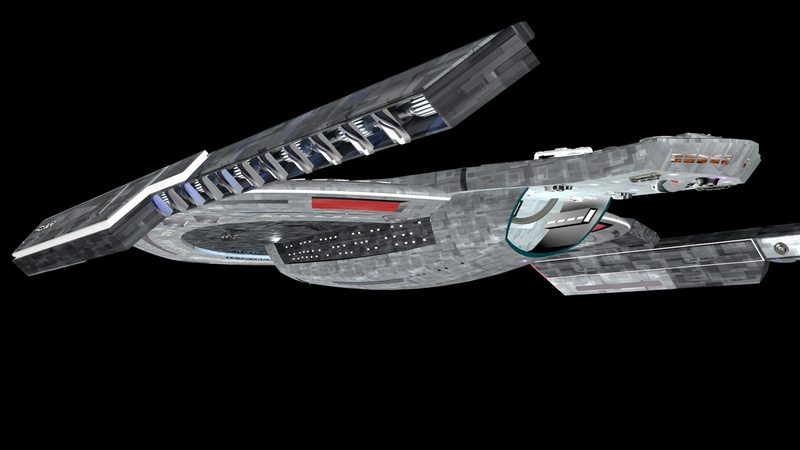 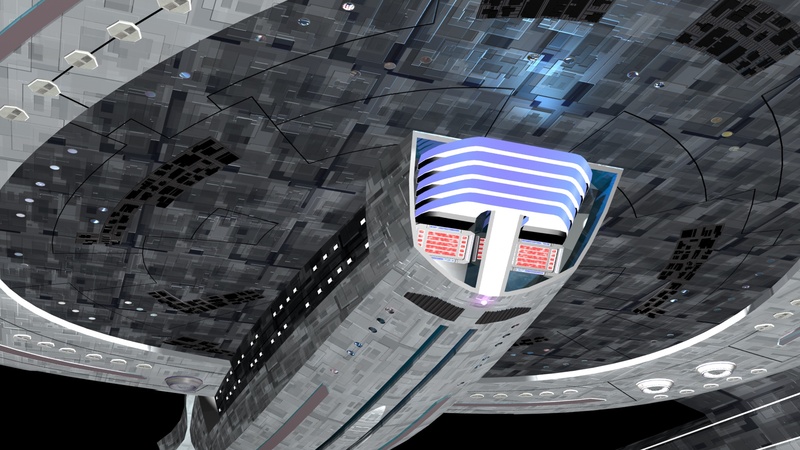 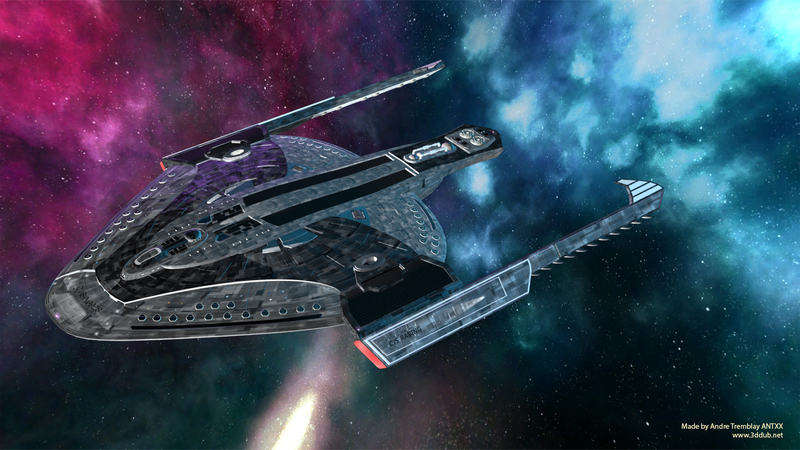 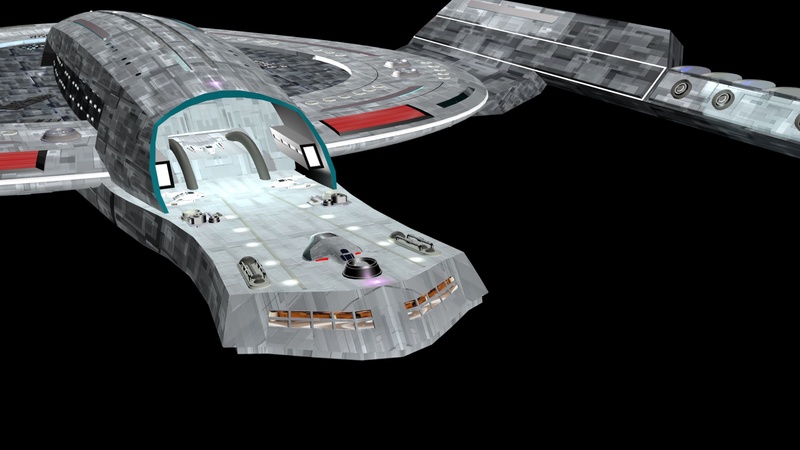 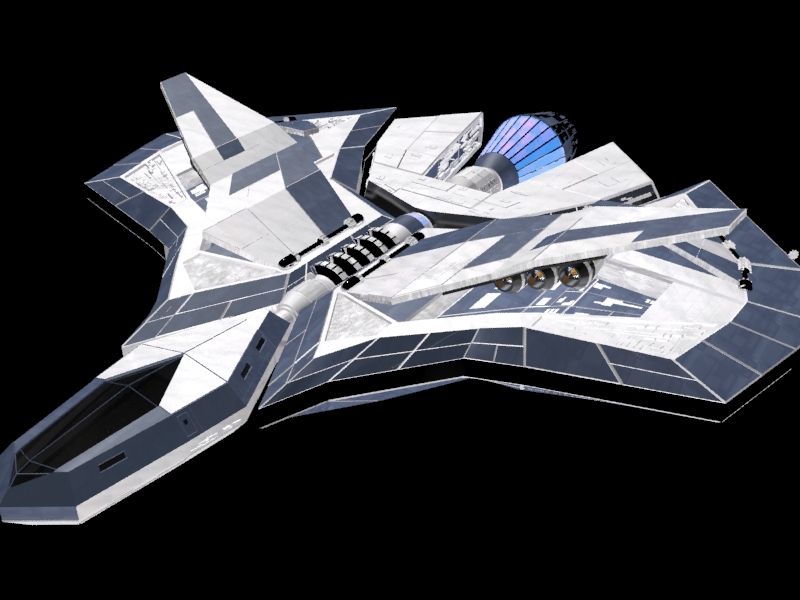 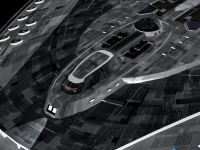 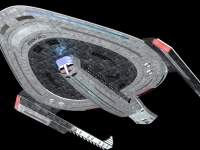 This is a fictive Star Trek ship called CJS Raving (CJS is for Canada Japan Space). 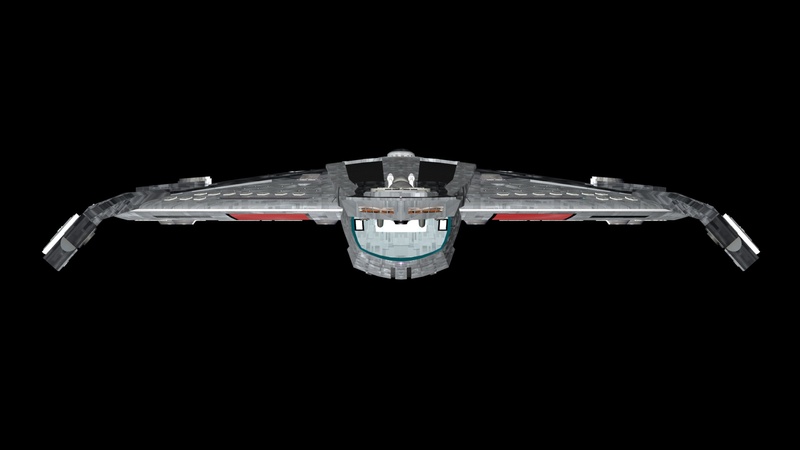 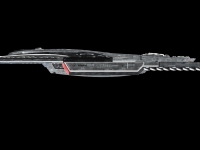 This model is a variation on the Saber Class. 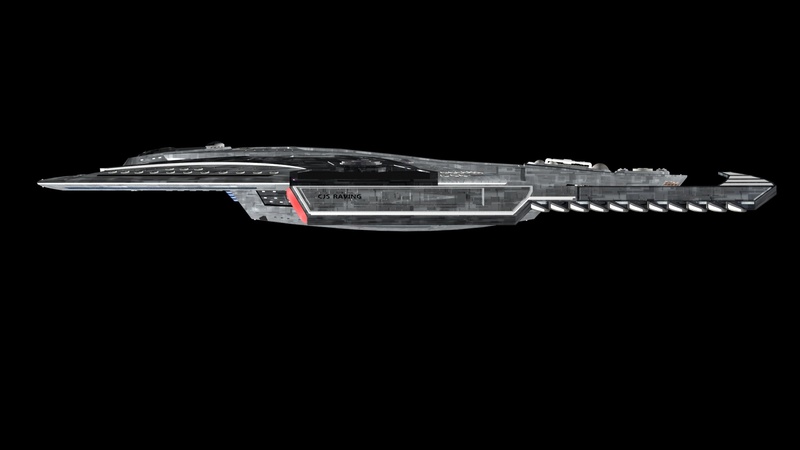 Well armed but also a science vesselfor academy training. 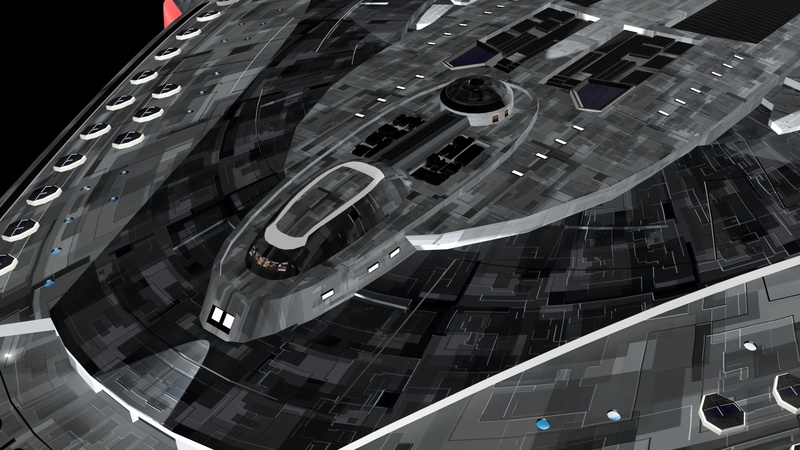 You have two wallpapers. 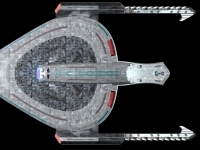 It took around 30 hours to make.